Purpose: Use this document as a reference to search for an existing Employee ID (Empl ID); to avoid duplicate entries in ctcLink. 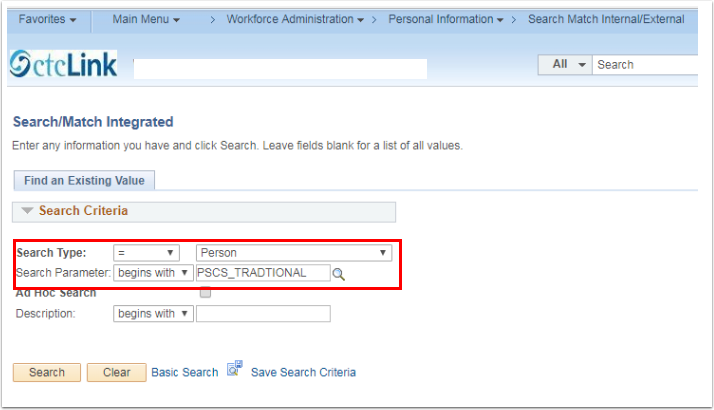 Search Match Functionality is used during the New Hire business process to verify an EMPLID/SSN does not already exist in either the HCM or Campus Solutions environments prior to the Hire. 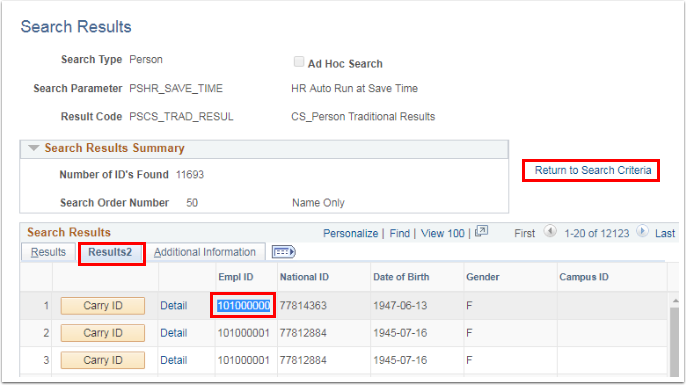 Therefore, it is important that you do not skip this search/match process in order to prevent multiple Empl IDs for one employee. Note that personal data is not visible for verification until after the Hire process has been completed. 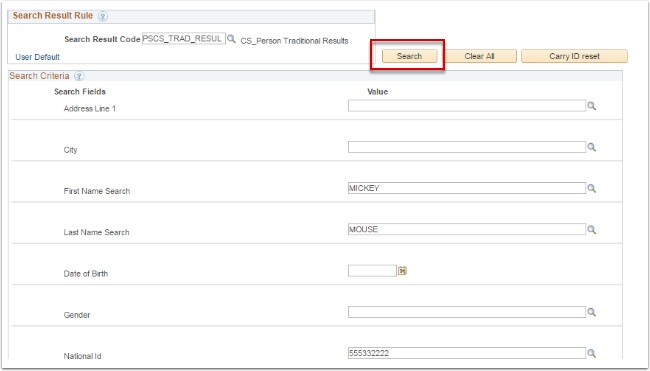 Begin by navigating to the Search Match page (navigation above). Enter the First Name, Last Name, and National ID Search Values. Note: You can search by entering the First Name and Last Name only OR the National ID only, but it is best to enter at least 3 Search Values in order to activate the Search button. 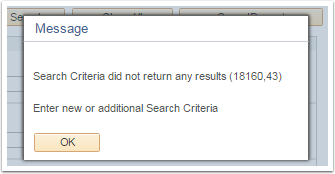 A: If a potential match is not found a Message box will appear stating that your Search Criteria did not return any results. Click OK. Search Match is complete. B: If a potential match is found the Search Results Page will appear. Click on the Results 2 tab, to verfity the National ID (SSN). You have successfully performed a Search/Match!!! !